CRYSTAL KAYAK AND WATERSPORTS LTD.
IS A LOCALLY OWNED, LOCALLY OPERATED COMPANY. WE ARE GEARED TOWARDS PROVIDING OUR GUEST WITH TOP NOTCH SERVICE AND AN EXHILARATING EXPERIENCE KAYAKING AND PADDLEBOARDING THROUGH THE MULTIPLE SHADES OF CRYSTAL CLEAR TURQUOISE WATERS OF THE ISLAND OF PROVIDENCIALES. OUR PRODUCTS ALLOW YOU THE OPPORTUNITY TO KAYAK OR PADDLEBOARD WHILE HAVING A SNORKELING EXPERIENCE AT THE SAME TIME. As a Guest of Barefoot Palms Villa, you are entitled to 15% OFF! You have to experience the Crystal Kayak for your Turks and Caicos Vacation Experience. From the moment you walk in the door, our focus is on relaxation. Our spa services are a great way to take a step back from the bustle of everyday life. Come take a break with us, or we can come to you! Discover some of the best beaches of the world. Whether you desire a leisurely tour of the island’s landmarks or you wish to brave the unchartered terrains, Rent-A-Buggy provides you with the best vehicles for every purpose. Learn about driving in Turks and Caicos here. GBCRS has the largest rental fleet in the Turks and Caicos Islands with the most vehicle categories. All of our cars are four door sedans with good size trunks for your luggage. We have compact, mid-size, and full size SUV’s, including a new fleet of Tahoe and Suburban luxury vehicles. In addition, we have the largest supply of and vans ranging in seating capacity from seven seats to fifteen. For extra fun we have safari type Toyota Land Cruiser Prados, and Jeep Wranglers. Caicos Dream Tours offers exclusive and personalized boating excursions and water sports adventures around the Turks & Caicos Islands. Delightfully intimate, Caicos Dream Tours’ charters aim to provide guests with a real connection to the captains, tour desk staff, and the friendly and knowledgeable guides. Turks and Caicos is an experience and your Turks and Caicos family portrait photo shoot should be as well. We have the history and knowledge to make sure your shoot is fun, fabulous and relaxed. Wether you have toddlers or teenagers we can put together locations, clothing, timings, transport – everything to make sure its as easy as possible. Our team’s innovative teaching methods and paralleled experience guarantee you the ultimate kite boarding experience in Turks and Caicos. LIKE YOU’VE NEVER SEEN THEM BEFORE WITH ISLAND VIBES TOURS. If you’ve ever been to the Turks and Caicos Islands, then you’ve most probably seen and read our “Where When How – Turks and Caicos Islands” magazine. With over one million magazines printed and distributed to date, it is the definitive guide to making the most of your vacation in the Turks and Caicos Islands. In fact, you probably wished you had read the magazine long before you arrived… and that’s exactly where this website comes in. Providing you with everything you really need to know to make the most of your Turks and Caicos Islands vacation, long before you even arrive. Take your time browsing our website where you will find a wealth of helpful information on Providenciales and our sister islands that you simply cannot find anywhere else. Then, once you’ve got your trip planned, you can go ahead and read our current issue online. This ‘flippable’ and searchable version of our print publication is the pulse of Providenciales. There you can read about some of the latest and greatest things to see, do, try and buy. We look forward to seeing you on island! EMBARK WITH US ON A “THRILLING JOURNEY” YOU AND YOUR FAMILY WILL REMEMBER FOR A LIFETIME. TCI FLYBOARD JET SKI RENTAL OFFERS AN ADVENTURE LIKE NO OTHER THROUGH PROVO’S FAMOUS TURQUOISE WATERS. PREPARE TO SEE PROVO AND THE BEACHES THROUGH A DIFFERENT LENS.ON THIS FAST AND EXHILARATING RIDE YOU WILL SEE WHY PROVIDENCIALES IS AMONG THE MOST BEAUTIFUL DESTINATIONS IN THE WORLD. TRULY AN ADVENTURE NOT TO BE MISSED! 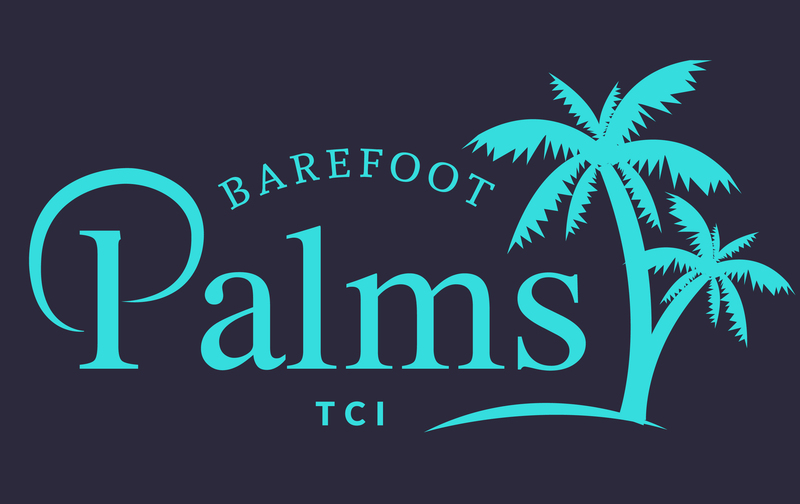 Call Today and Mention Barefoot Palms Villa for a Discounted Rate! Big Blue Unlimited is the most comprehensive watersports and eco-tour outfit in the Turks and Caicos Islands. We have led the way for over 18 years, specializing in Stand Up Paddleboarding, Kayaking, Kiteboarding, Snorkeling, Diving, Private Boat Charters, Biking, and Cultural Eco-tours across the islands. Explore and experience Big Blue adventures. Get Your Free Issue of TIMES of the ISLANDS Magazine for your Visit when you stay at Barefoot Palms Villa. Come by and take a puppy out to the beach– we’ll give you everything you need, you just need to supply some TLC. *** We support Potcake Place, a non-profit organization on island that adopts out stray puppies to their forever home. Stop by their ‘office’ at Saltmills Plaza and take a puppy to the beach one morning. You know you want to see the world famous turquoise water!! Give us a call or email today on how we can help you have a great vacation!